The DR181 OxyHolter® represents a quantum step in your ability to quickly isolate (or correlate) cardiac and pulmonary issues. 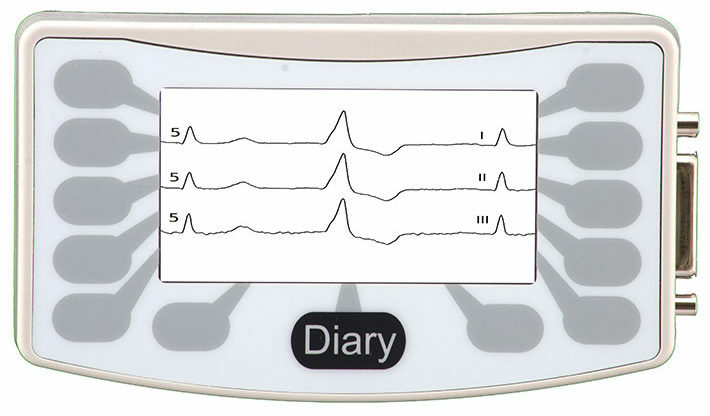 With synchronized sets of data — one set of cardiac data (standard Holter) and one set of pulmonary data (saturated O2 levels via pulse oximetry) conveniently obtained via the DR181 and NorthEast Monitoring’s proprietary OxyHolter® cable — the system helps to determine the need for further tests and/or root causes of many pathologies. 5-, 7- and 10-wire. 12-lead and oxy options available. The DR181 OxyHolter®, with synchronized sets of cardiac (standard Holter) and pulmonary (saturated O2 levels via pulse oximetry) data, represents a quantum step in your ability to isolate or correlate cardiac and pulmonary issues. The OxyHolter includes a specially designed, proprietary, active-electronics Holter-and-pulse-oximetry cable and an extra 5- or 7-lead cable. DME’s (in conjunction with an IDTF’s and medical professionals) use OxyHolter to substantiate or “fine tune” beneficiary’s oxygen requirements. With an accurate tool like OxyHolter, O2 levels are optimized to determine replenishment schedules. The cost savings derived drop directly to the “bottom line” of a DME provider and quickly provide an ROI for OxyHolter. Large soft-keys, easy to read multi-line LCD and many foreign language options are among the features that distinguish the DR181. Its extra battery capacity makes it perfect for long Holter studies of up to 72 hours with lithium batteries. Choose from either a 5- or 7-lead patient cable. A number of key features make this unit the quality and technology leader in the industry today as the DR181 performs as well in a small practice as it does in a large clinic or full service (scanning) provider. Built-in safeguards insure deployment with sufficient battery levels, high-quality lead hook-ups and complete patient ID. The DR181 recorder prevents identification mix-ups by storing Patient ID on removable media and units may be rapidly redeployed to the next patient while patient data is analyzed from the removable media. All units are rugged and built to last. They carry the industry’s best warranty of 3 years, along with optional extensions to 5 or more years. The DR181 is the latest version of the reliable and popular DR180 series.